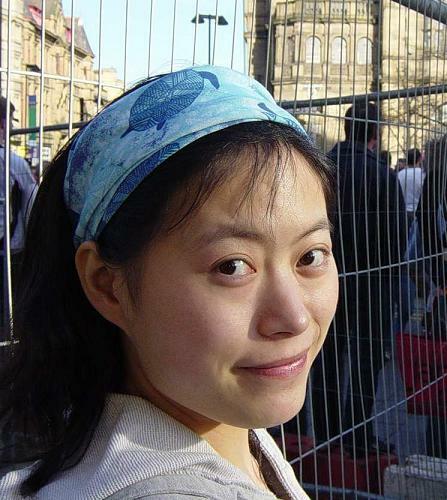 I am Xiaowei (also known as Vivien or simply Viv), a former doctoral student from the LTE group. I obtained my BA and MA in English and Language Literature in China. In my undergraduate and postgraduate journey of exploring English language learning, teaching and research there, I became intrigued by the phenomenon of Intercultural Communication. With my personal experiences of “cultural shock” both within China (between the “South” and the “North”) and outside China (between China and the UK), I am fascinated by the implicit “rules” underpinning the thinking and behaviour of people from different or even apparently the same linguistic backgrounds. This is the origin of my research interests in intercultural communication, which later developed into a strong motivation for me to work towards a PhD in this area. In 2005, I came to Manchester and started participating in collaborative activities with Richard in the areas of Intercultural Communication, including my own doctoral research. From my very first piece of research study undertaken in China to my recently completed doctoral research at Manchester, I focused on the intercultural communication experiences of “Chinese students” sojourning in the UK. The specific aspects of their experiences I chose to explore changed from one study to another, such as their second language acquistion, cultural difficulties encountered in the host cultural contexts and their academic acculturation. Below are my papers and publications to date and hopefully more will follow soon! Zhou, X. and Fay, R. (September, 2011). A Case of Chinese Whispers: Some researcher-supervisor dynamics when working between Chinese and English. Paper presented (as Paper 1 of the colloquium “Doing research multilingually: Diverse approaches and representational choices”) at the BAAL 2011 annual conference, hosted by the University of the West of England, Bristol, UK, September 1st-3rd 2011. Zhou, X. and Fay, R. (April, 2011). Using a Small-Culture Narrative Approach to Explore Intercultural Communication: A Departmental Approach and a Chinese-focused Case study. Paper presented at the “Linguistics Salon” at Peking University, Beijing, China, April 25th 2011. Zhou, X. (2011). Becoming an independent learner through cultural transitions. In F. Su (Ed. ), Chinese learning journeys: chasing the dream. (pp.89-103). Stoke-on-Trent: Trentham Books. Fay, R., Zhou, X. and Liu, T-H. (May, 2010). Undertaking narrative inquiry bilingually against a monolingual backdrop. Paper presented at “Narrative Matters 2010 – Exploring the narrative landscape: Issues, investigations, and interventions” hosted by the CIRN in Fredericton, New Brunswick, Canada, May 20th – 22nd 2010. Smith, P.V. and Zhou, X. (2009). The dissonance between insider and outsider perspectives of the ‘Chinese problem’: Implications for one of the UK’s largest undergraduate programmes. In T. Coverdale-Jones and P. Rastall (eds. ), Internationalising the university: The Chinese context, Hampshire, Palgrave Macmillan. pp. 130-146. Zhou, X. and Fay, R. J. (2009). Exploring intercultural communication using Holliday’s small-culture approach: The case of (some) Chinese students in a particular English-speaking university context. Paper presented at the 8th China Association for Intercultural Communication (CAFIC) Conference, June 1th-14th 2009, Beijing, China. Smith, P. V. and Zhou, X. (2006). The dissonance between insider and outsider perspectives of the ‘Chinese problem’: Implications for one of the UK’s largest undergraduate programmes. Paper presented at the 2nd International Chinese Learner Conference, 15th – 16th July, 2006, Portsmouth, United Kingdom. I have made an initial posting under ‘Conference Experiences’ to start us off on a reflection of the PKU paper ….